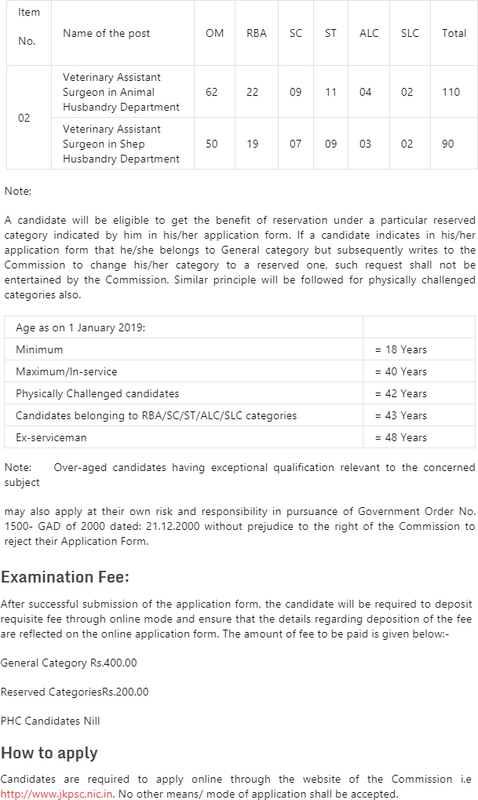 Government of jammu & Kashmir Requires Jammu and Kashmir Public Service Commission JKPSC Recruitment 2019 Veterinary Assistant Surgeon in Animal & Sheep Husbandry Department. JKPSC Latest Jobs Notification. Applications through online mode are invited from the permanent residents of Jammu & Kashmir State, possessing the prescribed academic/professional qualifications and age etc. 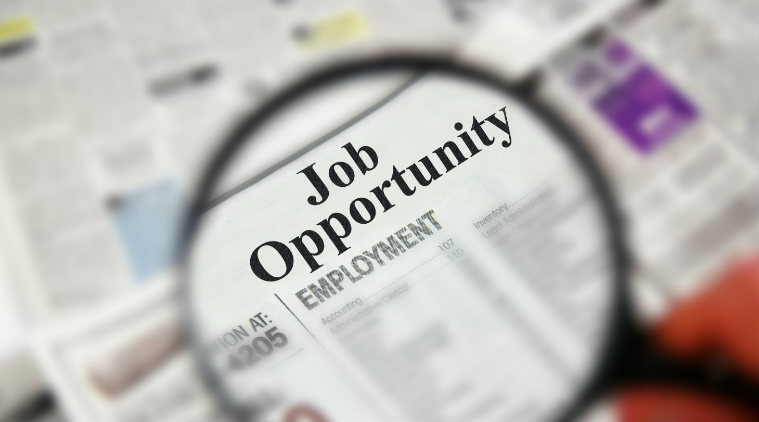 for the posts of Veterinary Assistant Surgeon in the below mentioned services in J&K Animal & Sheep Husbandry Department: J&K Animal Husbandry (Gazzetted) Service J&K Sheep Husbandry (Gazzetted) Service Post Name Veterinary Assistant Surgeon. About Job : Jammu and Kashmir Public Service Commission JKPSC Recruitment 2019 Veterinary Assistant Surgeon in Animal & Sheep Husbandry Department. JKPSC Latest Jobs Notification. Applications through online mode are invited from the permanent residents of Jammu & Kashmir State, possessing the prescribed academic/professional qualifications and age etc. for the posts of Veterinary Assistant Surgeon in the below mentioned services in J&K Animal & Sheep Husbandry Department: J&K Animal Husbandry (Gazzetted) Service J&K Sheep Husbandry (Gazzetted) Service Post Name Veterinary Assistant Surgeon. JKPSC Recruitment 2019 J&K Animal & Sheep Husbandry Department.